Our sole is a timeless traveler. It transcends from one dimension to another in the eternal cycle of life. The essence of immortality is equally transmitted to us mortals. The germ of traveling is within each and every one of us. 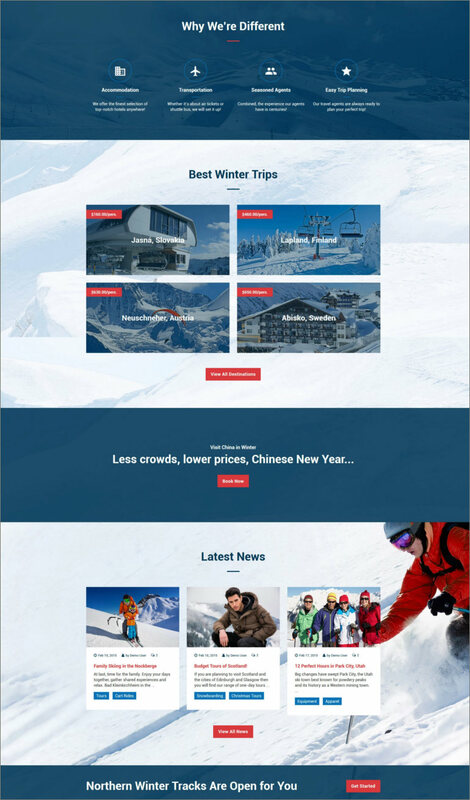 If you are keen to make a living out in this world as a tour operator and want to create a website for this purpose, then our travel agency responsive Joomla themes are your best bet. This profession is essentially a visual treat, and so your website should also cater to that need. Studded with a colorful gallery and highly responsive admin panel, our template helps you to target the right set of clients for your vacation.